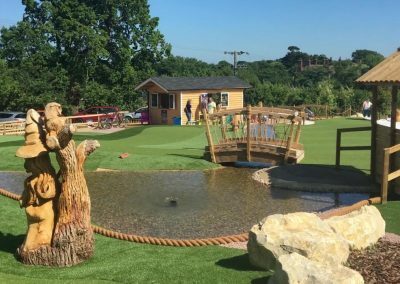 Adventure golf putting courses attract a very broad range of visitors of all ages and abilities and are a great family activity. Themed adventure golf putting courses are very different from the prefabricated mini-golf or crazy-golf putting courses of the past. Adventure golf is more interesting and more aesthetically pleasing. They are good fun for families as well as small groups. In addition to imaginatively designed holes, adventure golf putting courses feature visually striking themes which form part of the putting challenge. Consider adventure golf courses for a variety of business models. The courses can attract different clients to traditional golf courses, add income to recreational or sports facilities or be constructed as stand-alone attractions. 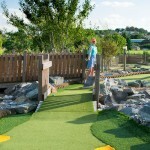 Weller Designs Ltd has completed several adventure golf putting courses around the UK. We use our considerable experience and creativity in preparing and managing complicated planning applications to deliver first-class, profitable adventure golf products.